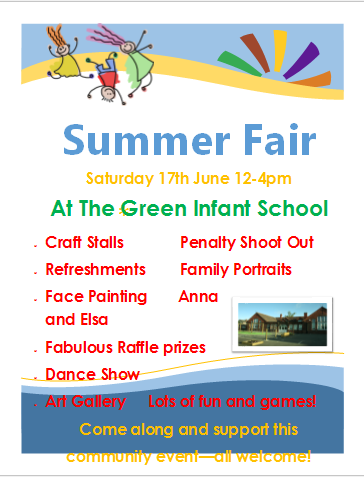 The school is hosting a Summer Fair on Saturday 17th June. If you would like a craft stall at the fair please see Mrs Worrall, the cost will be £10. If you are able to provide cakes for our refreshments stalls please let us know.